To be honest premium ammo is a bigger problem that artillery, but it's a close race. But of course WG does not see them as a problem as they are making them money. Of those hits you took from direct fire tanks, how many where made by tanks that did not expose themselves to your return fire as a result? Tanks that directly engage you open themselves up to your ability to counter them and, as a result, outplay them. Arty does not allow me, in the VAST amount of cases, to outplay him. No matter what, in those cases, arty is a class that utterly negates skill and has no place in a skill based shooter. People try to equate arty to the noobtube in other shooters, but the comparison is a bad one because really skillful play will allow a player not using that crutch to outplay the baddy. That simply cannot happen with arty - as nothing I do, barring hiding, will allow me to outplay him. Nothing at all. OK Mungo - I feel your pain. But how many times have you been killed by a TD hidden 500m away? How many times has that invisible scout spotted you and you've received incoming fire from his teammates due to that enemy you can't counter fire? We know where arty sits. We know how to get arty safe. We know when we are spotted and can take action. Since i've played arty i don't target the good players; I target the easy shots - these are usually the lower skilled players that don't dance or get safe. If I was in a "tank" I might target the better player given equal targets as he is liable to have more influence on the battle; but in Arta its too much of a randon guess where he will be in 5-10 seconds. EDIT: oh if you get him to fire at you and he misses, due to your tank dancing - isn't that outplaying him? Edited by brownape, 08 April 2015 - 02:08 PM. Unless you are playing low tiers that no one even cares about, you are lying. or, unless you play totally passively and are a terrible player with no skill or exclusively play scouts. So he wasn't lying then but more to the truth that suited your position to claim that he was. I presume you'll be apologising for calling him a liar then. He is using his tank better than me and deserves to kill me. He is open to being spotted and countered by me every time he tries to take one of those shots on me. Every time he firesd he doesn't know if someone is in a position to spot him (like I should be in that scenario). If I played better I would've been able to outspot him and kill him. My own lack of skill meant that I didn't deserve to win in that case. Scouts are very very difficult to play effectively - he deserved to beat me in that scenario as in the above example. Those players are open to my counter in return if I position myself better. I have killed enemies that are unspotted AND out of render range when they have been doing so. They were open to my skill and I outskilled them. Arty is not, in the vast number of cases, open to being outskilled. You cannot be effective in a game and arty safe at the same time. Another reason why it is bad - it rewards camping and punishes active play. Who is easier to hit - Talkinshite, sitting behind his artysafe rock in base, not helping his team or Fyreon pushing a flank? I said unless he was playing lowtiers that no one cares about, or scouts, or playing terribly. I was right so there will be no apology, though it's nice to know that you're my forum-friend checking up on me. Nope you corrected that later - the bits with the edit. Your first post was lower tiers when you called him a liar. There's no shame in being wrong, the shame is in not being able to admit that you were. I was wrong before the edit, then edited it so I wasn't wrong - I even annotated it to show my edits. You are clearly in forum-love with me. "It's possible artillery will be changed "not to be so frustrating for players". Storm later adds that WG "does not consider artillery to be a problem", but "there are some ideas how to solve it""
About time if you ask me. It is sometimes quite frustrating to play since its accuracy is soo much RNG dependant. Problem? No, but not by far as fun to play before accuracy nerf. If there's any problem with arty it's that it is too inaccurate (some of them). Another problem is that some maps are unplayable as arty, especially Widepark. Some people have developed an extreme bias against arty for some reason, probably because of group dynamics. It's very easy to blame your lack of skill on arty instead of admitting you're not as good as you think you are. 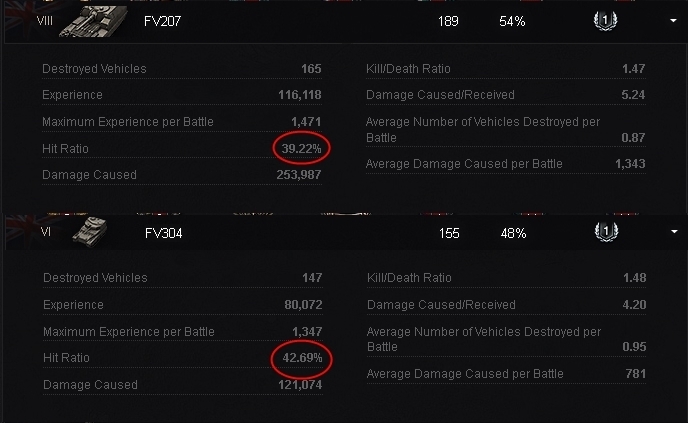 If people checked their stats they would see that they have been shot 100 times more often by other tanks than by arty but they only remember the arty deaths and forget the rest. It's just confirmation bias. If I played better I would've been able to outspot him and kill him. My own lack of skill meant that I didn't deserve to win in that case. View range/crew dependant. You have no overriding ability to out skill camo. Yes i know you would not put yourself in that situation but it happens. You are clearly in forum-love with me. We had some forum-love the other day - he was playing Forumseriousgaypolice that time. Am I the only one that thinks that art is not a problem? I am not an art player (I mean, I play art very ocasionally) but really, just learn that if there's art you must be in cover and stahp complaining. Higher skill players tend to think that arty is not working as it should be or should be removed. Lower skilled players tend to defend it. I've played nearly 20k battles now and i REALLY DON'T SEE ARTY A PROBLEM FROM EITHER END. I guarantee i have been hit 10 times more from direct fire than indirect fire. Of those miniscule amount of hits; most are an annoyance and rarely (probably 30 times??) have i been one shotted. Most do a similar amount of damage to a +1 heavy and take an age to reload. Just don't present yourself again. About 5k games ago i started to play Arty and find it frustrating. Some shots make unbelievable small amounts of damage (hi bert) whilst my only line (Brit) average about 400 at tier 8. Thats of all my hits only. I probably miss 2/3 to 3/4 of FULLY AIMED shots. Edited by Gloris, 08 April 2015 - 02:39 PM. i done think Arti is a big issue in game!! Towards the end of game when there is 5 tanks on both sides the team with more arti always seem to lose! Edited by talkinjibberish, 08 April 2015 - 02:55 PM. No, actually it doesn;t count them. It doesn't even count splash damage shots at all. Most players of arty do damage with about 50-6-% of their shots if you consider those numbers.